After seeing the undrafted players brought in by the Sabres for last year’s Development Camp, the four camp invites for 2012 should be interesting to keep track of. With so many more draft picks and players under contract expected to be at this year’s camp, there are significantly fewer invitees coming for this year’s Development Camp. Seven players, including goaltender John Cullen, came to camp without a contract and a pair ended up signing a contract and playing in the minors with Buffalo last year. Jonathon Parker and Phil Varone each signed a deal to play in the minors after some strong play at the mid-summer evaluation camp. Parker only played a few games in Rochester and most of the year in Gwinnett. Varone, however, was a revelation and became a fairly significant scorer for the Amerks last season. Although there are only three skaters and one goaltender (with a totally awesome name) invited to this year’s camp, each should be worth a once over during the four days they’re on the ice. 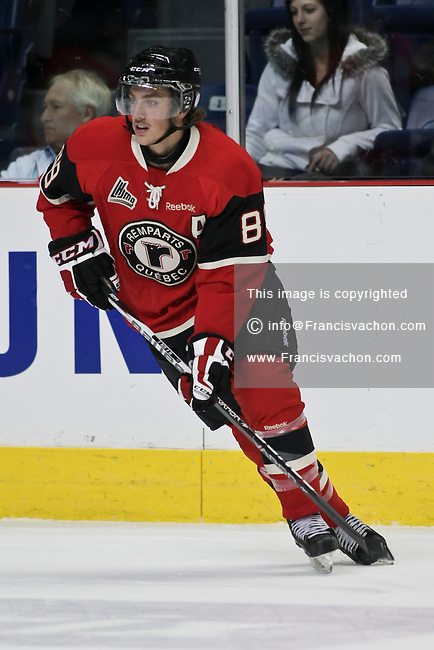 Frederick Roy is particularly intriguing based on his 92 point (27+65) year with Quebec in the QMJHL. A teammate of first-round pick Mikhail Grigorenko, Roy is a bit undersized (5’10” 160), but put up serious numbers. The Q can always be a bit deceiving because of the general lack of defense played by every single team in the league, but 92 points is 92 points no matter where you’re playing. Except Quebec high school hockey, right Mr. Feaster? Should Roy show some spark and ability over these few days, I wouldn’t be surprised to see him get a deal like Varone and Parker did. Roy represents a wise trend of inviting big time junior scorers to play in front of the coaching staff for a few days in the summer. Parker (45+46) and Varone (33+48) topped 86 and 81 points in their final year of junior before their invitation, respectively. The Sabres also invited Geordie Wudrick (43+16) and Steven Beyers (23+42) to last year’s camp as well. Beyers was one of the more impressive players on the ice at last year’s camp but didn’t get a contract. He doesn’t appear to have received an offer for this year’s camp after returning to junior for another season. Perhaps his -50 rating in 2010-11 and regression to 51 points (16+35) was cause for concern. Regardless, tossing a handful of pure scorers on the ice for a tryout and coming away with two players expected to produce is a zero risk scenario. If after this week Roy has shown the ability to click with Mikhail Grigorenko (they were teammates in Quebec) and contribute in other areas, I wouldn’t be surprised to see him shipped down to Rochester for some additional seasoning. This is a tremendous step forward for the Sabres hockey department. It’s not as if they had just been mailing in their choices for these camps, but compared to the roster of invites from 2010, these past two seasons have been filled with far more offense. This change in philosophy has translated directly to contracts, increased depth in the prospect pool and the potential to snag a darkhorse talent. Will any of these players turn into a top six, elite talent? Probably not. But if Phil Varone continues to trend upwards, or Frederick Roy gets a contract and can keep putting up huge numbers they will have drawn from a foundation built on solid scouting. It is a luxury few teams have and could soon begin to truly pay dividends.